This is a little taste of heaven to be kept in the freezer, sliced as needed and store in freezer again. A cake like bread rolled with a cream cheese filling inside. 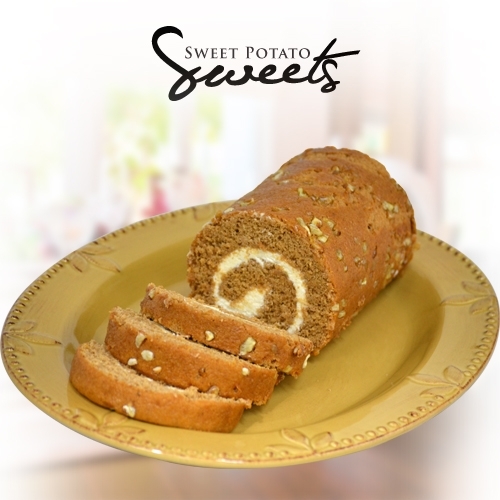 Contains pecans, sweet potatoes, cream cheese, spices, flour, sugar, egg and lemon juices.